North Korea has not only accused the U.S. government of declaring war following the latest round of economic sanctions against Kim Jong Un, but the regime has also banned all imports of goods that resemble a Christian cross, such as women's hairpins and men's neckties. 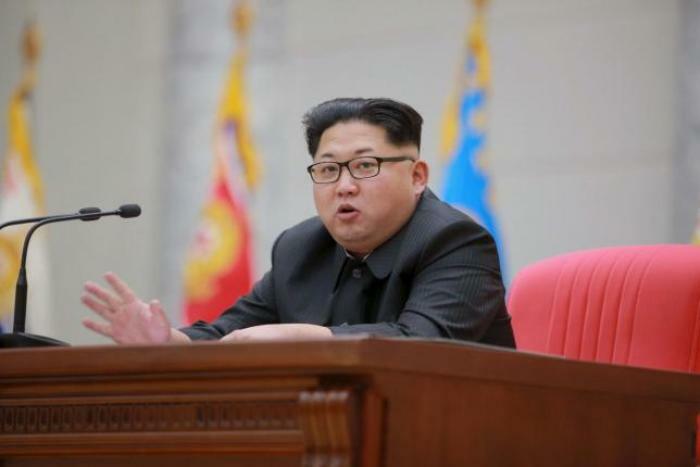 Han Song Ryol, director-general of the U.S. affairs department at the North's Foreign Ministry, told The Associated Press on Thursday that the American government has "crossed the red line" by directly sanctioning Kim. "The Obama administration went so far to have the impudence to challenge the supreme dignity of the DPRK in order to get rid of its unfavorable position during the political and military showdown with the DPRK," Han said, arguing that putting Kim on the sanctioned list has created the conditions for war. "The United States has crossed the red line in our showdown," the North Korean representative added. "We regard this thrice-cursed crime as a declaration of war." AP noted that although North Korea has faced numerous sanctions in the past, the July 6 sanctions were the first time Kim himself was put on the list of individuals sanctioned for various human rights abuses documented by the United Nations Human Rights Commission. In a separate story, Radio Free Asia reported earlier this week that North Korean border guards have been told to block all foreign imports coming into the country with markings that resemble the Christian cross. An anonymous Korean RFA source said the cross confiscation directive is a new development. "We've always had to make sure there were no Korean characters on the labels of products that we brought in from China," the source said. "Now we have to check again to see that there isn't anything that looks like a cross," he added. The man said that such markings are not always obvious, and could sometimes be coincidental. "Some designs on women's clothing can look a lot like a cross, depending on who is looking at it. Cross designs also appear on women's hairpins and hair bands and on men's neckties," he added. "These products are more likely to be confiscated during customs checks." 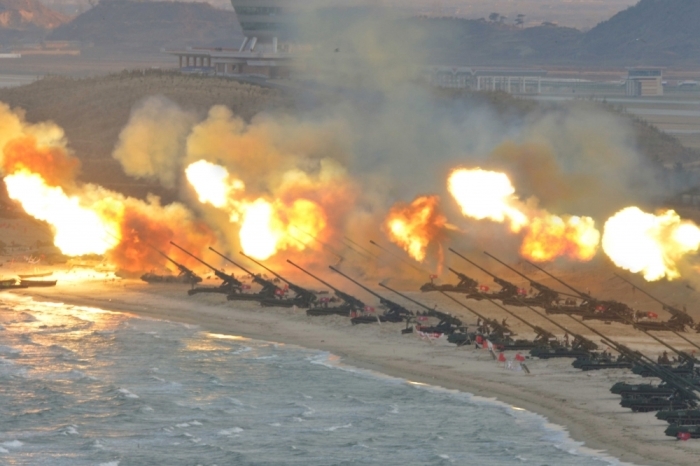 For the 14th consecutive year, North Korea was listed at No. 1 on Christian persecution watchdog group Open Doors' 2016 World Watch List, naming the country as the greatest persecutor of Christians in the world. Open Doors CEO David Curry told The Christian Post in an interview in January that over 70,000 Christians were imprisoned for their faith in 2015, which has also led to a number of executions of Christians, though official figures are hard to come by. There is a total ban on Christianity under Kim's regime, with professions of faith or owning a Bible punishable by prison, or worse. 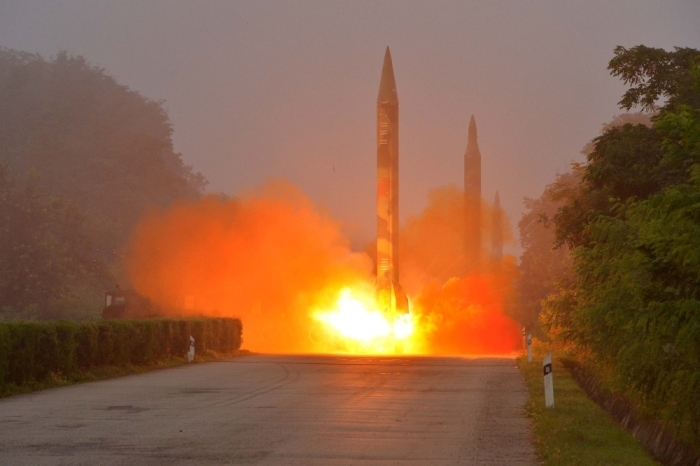 "Getting information out of North Korea is notoriously difficult. That is what makes the fact that it remains number one on the World Watch List even more amazing. We don't even know how many Christians have been martyred in North Korea," Curry told CP back then. "Yet, it remains at the top. That's because it uses all of the powers of its government to suppress Christian faith, to punish even the most basic of things such as owning a Bible."